Google wants to make you use its own social network Google Plus and it’s now bringing a completely overhauled user interface, with panels you can drag and drop, and customize to your liking, to make you like it. And this redesign gives some good reasons to look into Google+: it’s easier to share with your circles and the Hangouts video calling platform has been improved. The biggest change you’d notice from the first sight is the “dynamic ribbon” on the left. Apps you don’t access much are hidden under the new “More” section. Galleries now support bigger photos and there’s more space for videos too, contributing to a better viewing experience. Conversations are presented in cards and there’s a new activity drawer for talking to your circles. For Hangouts, you have a new page with recently updated chats, and public hangouts that you can join. Check out the new features in the videos below and let us know what you think in the comments. Just keep on hitting the refresh button, the change should appear automatically soon. You mean over a hundred million users isn't enough? Having an account and utilizing it are two different things. I dunno, the What's Hot Page usually seems to be jumping. The five hundred comments limit on popular posts seems to fill pretty quick. You gotta give the Site more than 8 months before declaring it dead in the water. i rather like it. it has a lot of advantages over FB. give it time, it will continue to grow. versus the Billion+ users of Facebook it's still quite underused. i can't really justify switching from Facebook to G+ because my friends and i are just too comfortable with Facebook. who said anything about switching? use both! mine is still the old style :( how do i force it to update!? Don't think you can force it to update, just keep on hitting the refresh button. I'm still waiting for it as well. I always get this updates much later. On Facebook all the updates took days for me and they we're little and not interesting updates. I would like to move to google+ but none of my friends use it. This is actually a pretty nice update. The opposite of what Facebook does. xD I still hardly ever use G+ though. well, u need to get on there and find us. there are quite a few of us on there. 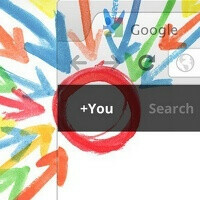 whats your name on google+? I already have MIchael Heller on my circles, he posts really cool stuff. So nobody is going to say how it looks A LOT like Facebook.? Oh, okay.